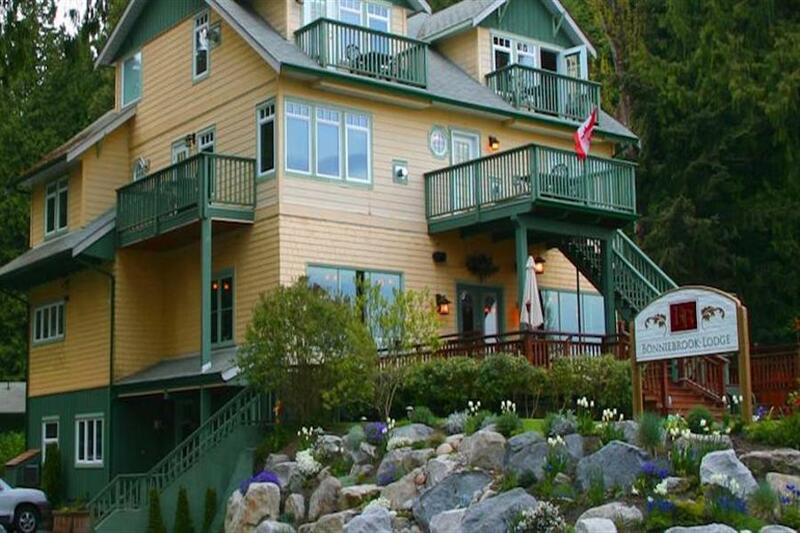 Historic Oceanfront Inn in Gibsons, B.C. 7 Spacious and comfortable luxury suites. -All rates are based on double occupancy: 2 guests sharing same bed. -A CAD$50 non refundable deposit will be charged anytime after booking. -Check in: 04.00 p.m. / Check out: 11.00 a.m.
-Please note Bonniebrook Lodge is a non smoking establishment. We will make high additional charges for cleaning and sanitizing to those guests who are non compliant to this policy. -Noise Policy -It is our priority that all guests have a pleasant and quiet stay. All guests and clients should keep music and noise at a moderate level while on our premises. Please note those guests and clients that do not comply to this policy will be requested to leave the property without a refund. -Continental Breakfast Besket available for CAD 15 per person, per night. A non-refundable $50 per room deposit is taken at time of reservation. Guests have up to 8 days prior to arrival to cancel without any further charges. If cancelled within 7 days prior to arrival or no show, payment in full for accommodation invoice amount will be taken. -An additional charge of $49 per extra guest or sofa bed setup is applicable and should be confirmed PRIOR to arrival - This is not included in base rack rate. Pets are allowed in our Garden Suites only. Pets should be on a leash at all times in all areas of the property. Owners are responsible to clean after their pets.Housekeepers cannot go in the room if pet is not kept in a kennel. Guest will be charged an additional fee for noise disturbance or for damages caused to the room by pets. Bathtubs and showers are for human use only. Additional cleaning fees are applicable.